University of California Press, 9780520276246, 268pp. Before his death at the age of twenty-seven, Jean-Michel Basquiat completed nearly 2,000 works. These unique compositions—collages of text and gestural painting across a variety of media—quickly made Basquiat one of the most important and widely known artists of the 1980s. Reading Basquiat provides a new approach to understanding the range and impact of this artist’s practice, as well as its complex relationship to several key artistic and ideological debates of the late twentieth century, including the instability of identity, the role of appropriation, and the boundaries of expressionism. Jordana Moore Saggese argues that Basquiat, once known as “the black Picasso,” probes not only the boundaries of blackness but also the boundaries of American art. 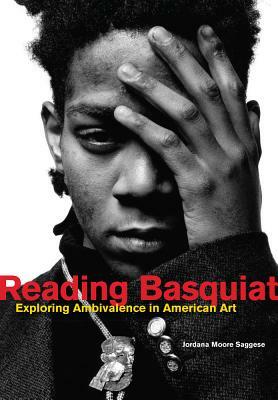 Weaving together the artist’s interests in painting, writing, and music, this groundbreaking book expands the parameters of aesthetic discourse to consider the parallels Basquiat found among these disciplines in his exploration of the production of meaning. Most important, Reading Basquiat traces the ways in which Basquiat constructed large parts of his identity—as a black man, as a musician, as a painter, and as a writer—via the manipulation of texts in his own library. Jordana Moore Saggese is Assistant Professor of Contemporary Art in the Visual Studies Program at California College of the Arts.